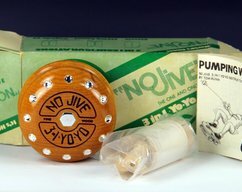 New and never played with...this classic imperial shaped yo-yo was made here in my Colorado shop. 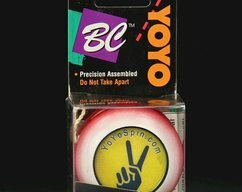 Dichroic glass-like epoxy resin rings encircle YoYoSpin.com branded caps on each side. 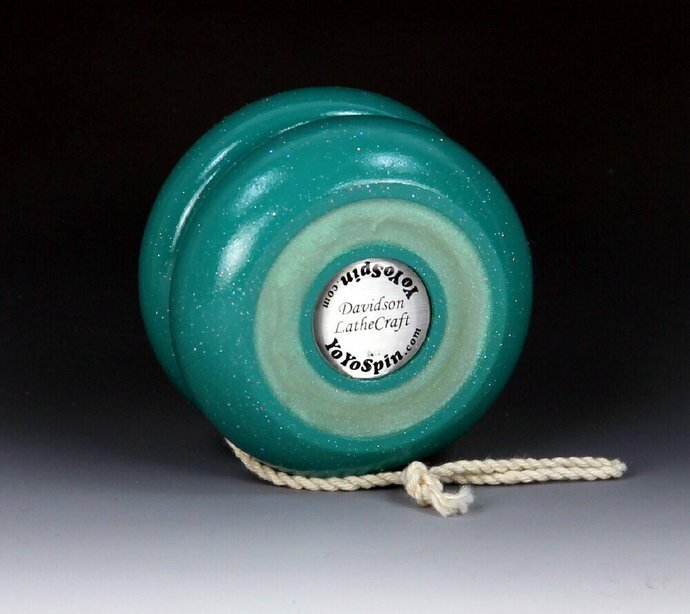 Only one has been made with this YoYoSpin design. See photos for details. No packaging included. 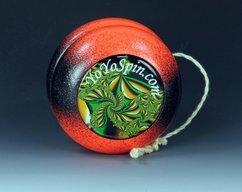 This yo-yo is not intended for use by children 3 years of age or younger. Buy two or more items and save on shipping cost. 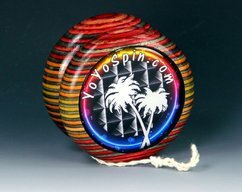 Vintage Tom Kuhn/BC "School Colors" Yo-Yo re-painted and fitted with Fractals !